A heavy does of turmeric gives this Carolina-style vinegar sauce a mustard-y tilt that's best enjoyed out of the jar where a littler sweetness and nice hit of heat give the sauce a really unique character. For my first birthday celebrated in Durham, a couple of my friends got me a gift bag full of local barbecue sauces. I couldn't think of anything more fitting for me, and it has allowed me to sample some of the local flavor along with learn a bit of history. This particular sauce, Sam Dillard's, was the only one to come directly from Durham. Its namesake restaurant closed back in 2011, but during its 58 years in operation, city residents found a fondness for its pork barbecue and other meats and sides sold cafeteria style. 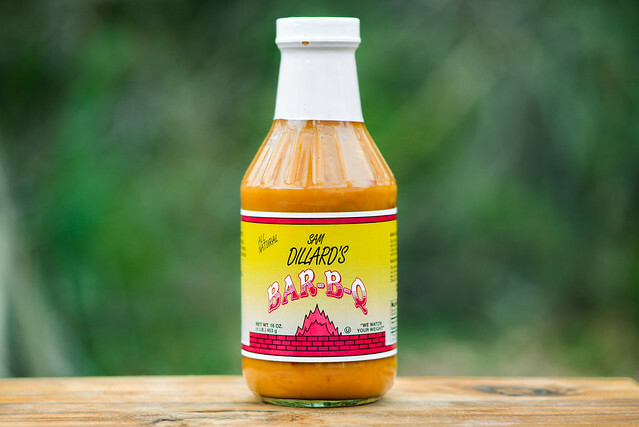 Reading through archival articles about Dillard's Bar-B-Q, the one thing consistently mentioned was its unique yellow sauce, which the Dillard family continues to bottle and sell today. The initial smell is a mixture of a pungent, mustard-like aroma and mellow vinegar tang. These two traits certainly dominate, but upon deeper whiffs a light sweetness and mild earthy heat can be discerned. 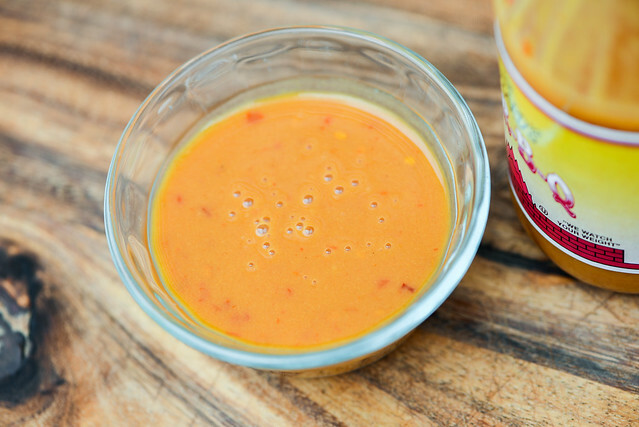 While this yellow-orange sauce is opaque, its light hue makes it easy to see the plentiful red pepper specs along with the lesser amount of white pepper. 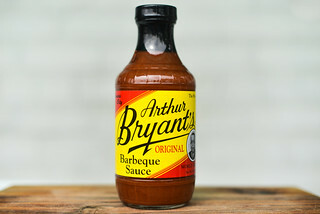 The sauce is smooth with a medium-thin consistancy that has it flowing in a quick, steady stream off a suspended spoon. After a few final drips release, a very thin coating of sauce it left clinging to the silverware. Like with the aroma, the first taste is pungent and tart, just with the tables turned—the vinegar is more prominent than the mustardy flavor. Behind these two characteristics is a mellow sweetness that keeps the vinegar from becoming overly tart, creating a bit more of a sweet-tangy balance than the average North Carolina sauce. As the sauce sits on the tongue, an onion-y spice comes out, followed by a heat that starts mild and escalates to a medium burn when all is said and done, leaving a pungent, tart, and spicy aftertaste. This sauce coated the chicken in a thin, even layer that baked down well over indirect hat. Although a decent layer of sauce built up, it did suffer burn off over direct heat, requiring one additional brushing at the end. What tasted mustard-like out of the jar came across as its true self after being cooked—turmeric. 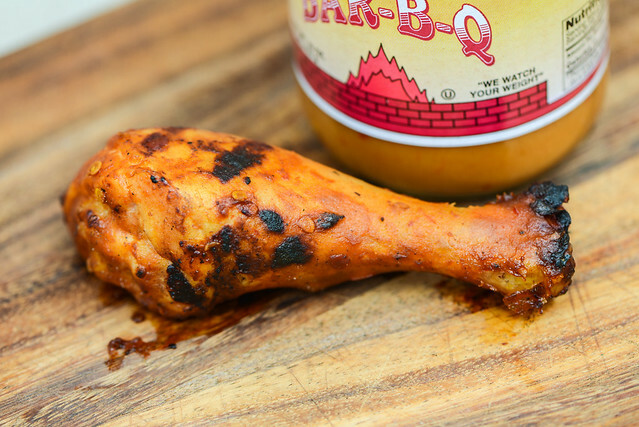 The turmeric was both strong in flavor and texture, creating a leg that was more dry spice than saucy. The tanginess dissipated, along with the sweetness, but the heat held in there, even though it was of a lesser amount. While barbecue around Durham is plentiful, I've yet to put my finger on any strong history or style that defines this exact location. With the exception of Allen & Sons, the barbecue usually recommended to me is of a newer bread and, quite honestly, nothing worth traveling here for. Since Dillard's closed years before I moved here, I can't say anything about their food, but giving this bottle of sauce a whirl is the first instance that I felt something unique to this place—a Carolina-style vinegar sauce with a distinct mustard-like tilt thanks to a copious amount of turmeric. Is it a great sauce? No, not really. 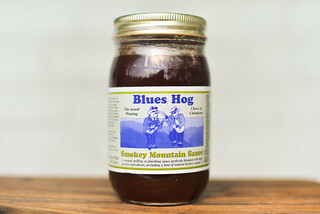 It has a nice flavor out of the jar that I think would go well on whole hog topped with slaw, but I can't imagine using it for much else. It didn't perform well on the grill, where the layers of flavor were diminished to an almost singular turmeric flavor. 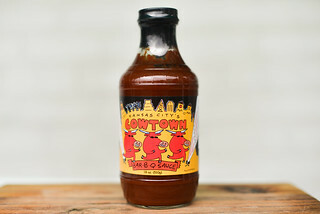 Still, for what it is, it's decent, and for learning a bit of barbecue history about my new(ish) hometown, it was one of my favorite sauces I've reviewed recently.